The Travelling Lindfields: A Cyclist's Lament: Welcome to New Zealand! We have to find a bike repair shop. Have I told you airlines do not look after bikes very well? (Click here for our previous bike flying disaster story.) The chain on David’s bike has been twisted in transit. So far it has resisted all our, increasingly desperate, efforts to untangle it. We removed the wheels to pack the bikes up and with a twisted chain can’t re-attach the rear wheel. Until the chain is fixed we have a bike with only one wheel. Google says other cyclists, who were also perhaps mad enough to entrust their bicycles to an airline, have had the same issue, and it requires nothing more than a five-minute fix. Google gives us a list of nearby bike shops. How did anyone ever do anything before the internet was invented? The first bike shop looks like it closed last century – not a good start. We can’t find the second, but the third turns out to be a Torpedo 7 outlet. The bags we pack the bikes in to fly them came from Torpedo 7. No doubt Torpedo 7 staff are used to dealing with airline damage. We walk in. David is carrying the front wheel and frame of his bike. I am carrying the rear wheel. The girl at the front counter frowns. They are extra busy right now and there is a three-week wait for repairs and servicing, she explains. We throw ourselves on her mercy. We tell her we’re sure this is no more than a five-minute fix. She takes pity on us and directs us to the service area at the back of the shop. The service guy is young, enthusiastic and eager to help. He grabs the bike chain in both hands, completely oblivious to the layer of black grease it leaves on his fingers, - and twists. I am impressed - he clearly knows what he is doing. Nothing happens. He twists again, this time with more force. Nothing happens – again. I wonder how much a new chain will cost. This one has no desire to straighten itself out. The bike guy is perplexed. He gives the chain another yank – this time with as much force as he can muster. Nothing happens - so much for the five-minute fix! I wonder how much a new bike will cost. We can’t have a cycling holiday with only one bicycle. I have a sense of déjà vu. This will not be the first time we have wrecked an entire bike in transit. Click here for the sad story and amusing, in hindsight, story. The bike guy changes tack. Yes! This sounds so much cheaper than a whole new bike. Half an hour after walking into the shop we roll the bike out the door with the chain untwisted and both wheels firmly attached. Cycling holiday here we come! Renting bikes would be so much easier! I am cycling on a flat tyre. Both tyres should be inflated to between 60 and 75 pounds per square inch (psi). I am not nearly as technically minded as this sounds - the psi range is stamped on each tyre. My back tyre can’t be much more than half what it should be. We had to let most of the air out in order to fly the bikes. Apparently the tyres will burst if you don’t deflate them, although I have often wondered whether this is an urban myth. Foolishly, we have only brought a small hand pump with us. It just isn’t up to the job – either that or David needs to go to the gym more! We really need a floor pump. In case you are wondering, a floor pump works by pushing a plunger into a tube held upright on a stand. It is far more efficient than a hand pump. With all the hassle over David's bike this morning I don’t want to mention the problem, but cycling on under-inflated tyres is hard work. It’s like riding through mud. We are on a beautiful path winding around the foreshores of Auckland Harbour - the sun is shining, and the topography is flat. I ought to be in cycling heaven. Instead my leg muscles are screaming and I’m wishing I was at home curled up on the couch with a good book, doing absolutely nothing! David finally notices I have an issue. I am not sure what tips him off. Is it the squashy looking tyre, the fact that I am lagging way behind, or my increasingly unhappy mood? Like most husbands, David can be really dense at times. He suggests we keep an eye out for a petrol station. I have been hoping we would pass one for the last couple of hours. Even though we are on a path running beside a main road, service stations are strangely absent. Do they hide them in New Zealand? Finally we find one – on the other side of the road. It is now the afternoon peak hour and dodging through four lanes of commuter traffic is an exercise in survival of the fittest. The gauge on the petrol station pump doesn’t work – why would it – nothing else has gone right today! The pump itself splutters into life and David gives all four bike tyres a much needed hit of air. He has no choice but to guess how much they need. We are at our turn around point. The ride back to our rental car is a lot easier! Day Eleven – How can this happen? We have been in New Zealand for almost two weeks and we are still cycling on under-inflated tyres. To be fair we have not done nearly as much cycling as we expected. 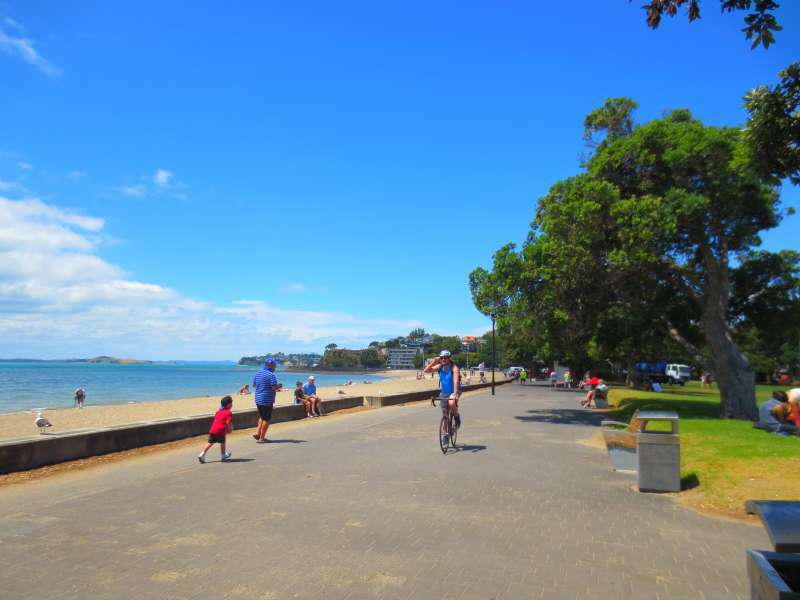 After a couple of beautiful, fine days in Auckland we have been plagued by rain. David and I are not wet weather cyclists! It just isn’t fun to ride in the rain. We spend the morning going from one petrol station to another looking for a working pump. At home in Sydney, the place to go for air, whether you need it for car tyres or your bike, is a petrol station. Australia and New Zealand are about as close as two countries can be. There are very few cultural differences, but clearly the practice of pumping up tyres is one of them. With the weather finally clearing and our final four or five day’s cycling ahead of us, David thought he would check the bike tyres. They still look a bit under-inflated. After petrol station number 7 or 8 – they all look the same after a while – all we have managed to do is let more air out of both back tyres. Not a single pump works properly. Most don’t work at all, some just let more air out. David’s back tyre is well on it’s way to being unrideable. Finally we give up and go cycling anyway. It is if your tyres are flat! Day Twelve – We have a new plan. If we can’t find a petrol station with a working pump we will find a bike shop and ask to borrow a floor pump. We could buy one, but we already have two at home and we are right on the edge with our airline baggage allowance. Success – at last! The very helpful sales lady at Revolution Bikes has a floor pump which works and she is happy to let us use it. She says she often has cyclists call in to check their tyres. As it turns out all four of our tyres are significantly under-inflated. No wonder the cycling has been exhausting so far. The good news is that the sun has come out and we have two days left in Hawkes Bay, one of the best places in the world for leisure cycling. 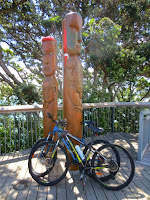 Keep an eye out for next my post on the Hawkes Bay trails. If you enjoyed this post or found it useful please consider sharing it. I always appreciate the compliment. You will find social media share buttons below and in the left-hand side margin. I publish a new post each week. If you would like to follow our travels, check back each week or enter your email address in the 'Never miss a post: Follow by email' box in the right hand sidebar just below my profile picture. Sounds like almost as much hassle as travelling with a dog! :-) Coincidentally, my husband hired a bike for an hire yesterday to go to a decent pet shop (found on Google, where else) to buy dog supplies. We went to Seville more than twenty years ago. I remember it was lovely. The problem we have with hiring bikes is we want them for so long. The cost for an hour is fine but when you start wanting two bikes for weeks on end it gets prohibitive. We have twice bought cheap bikes overseas and then given them to a charity shop before we came home. It works out more cost effective than trying to rent them. Seriously? Why didn't you ask us to fill your tyres? Jeff has a compressor in his workshop. Glad that we got to see you while you were here. Haha - We didn't think of it and when we saw you the extent of the problem had not dawned on us. I'll remember Jeff's compressor for next time! We are on our way home now. Had a great time, despite the rain. Haha - I absolutely agree. If it wasn't for David pushing me into it I would never fly with a bike again. That said, we just got home and as usual it was a smooth trip. It's more the thought of what can go wrong than that things usually do. It is possible that some of the problems had to do with the valves on David's tyres. They are different from car tyre valves and we had less problems which my tyres which have the same valves as car tyres. There were a lot of service stations which didn't have pumps at all though. It is often the little things in foreign countries which are the most difficult to work out. I am sure New Zealanders don't drive around on flat tyres (bikes or cars) so we were obviously just missing something. My husband was signed up to do an organized bike ride in Puerto Rico and went through weeks of research on how best to get his bike there - it had to be his own bike - for the best price. Ship it? Let the airlines do it? How to package it? Finally, he had it all ready and then had a bike accident and wasn't able to do the ride. Oh, well now he knows the best way for him to send it if he ever needs to again. I hope it went smoother for you once the tires were properly inflated! I would love to know what he decided on. We have flown our bikes four or five times now. Shipping them is hideously expensive. Flying them from Australia to the U.S on Qantas is free provided they otherwise fit within your baggage allowance. The safest way to fly them is to buy a hard case bike box but our mountain bikes won't fit in a hard case. The next best is to buy a cardboard bike box at the airport. However I am always nervous that we will turn up to find they have all sold out. We fly ours in soft cases which don't protect them nearly as well as I would like but mountain bikes are sturdy and with one exception they have never been so badly damaged that it required more than an easy fix. We also ride relatively cheap bikes - under $1000 so if we wreck them it is not a catastrophe. David and I are planning a trip to Holland in the next couple of years so we can do some cycling there. I think we will have to buy bikes when we arrive because taking them to Europe would be an even greater hassle than taking them to N.Z or the U.S.
What a hassle. 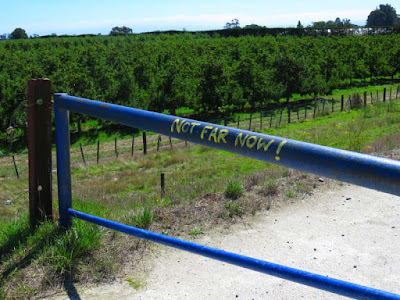 It has been a while since I rode in NZ, and you certainly want your bikes in order in this terrain. Haha - we did the easy paths! Wow Lyn, maybe you need to stand up for yourself. Sorry, but that was my takeaway. Haha - Do you mean, I should refuse to travel with bikes? I suppose I could but it would be weird. Hope you enjoyed your trip despite the issues with the tires! It's trips like these (were so many things seem to go wrong) that end up being the most amusing to look back on! Props to you and your husband for doing a cycling trip in New Zealand. I can't really ride a bicycle (sad, I know!) so this is an amazing feat to me! We had a great time, despite the hassles. I agree with you, it's often the trips which go a bit wrong which you have the fondest memories of. Sometimes, it's just like that. Glad you had a wonderful trip despite the bike issues. Thanks for linking up with #wkendtravelinspiration, see you next week! It wouldn't be much fun if everything always went to plan! I know this was all a lot of hassle for you, but it really is funny the way you wrote it! I'm definitely in the "just rent a bike" camp! You can usually adjust the seat so that it fits, and rental bikes are often pretty sturdy and durable, so they're a lot less likely to have breakdowns. Bringing them along just sounds like more trouble than it's worth! David and I are pretty fussy (especially David!) about bikes. There is always something about a rental bike which one of us doesn't like. We have rented some good bikes over the years but we have also rented some shockers. I'm glad you found my story funny - I was hoping it would be amusing. Haha - perhaps you are right about the kismet. We certainly enjoyed NZ. 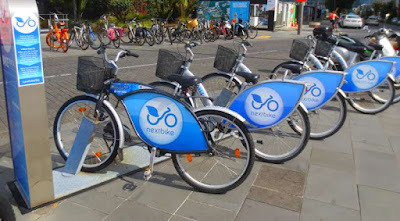 When I was in New Zealand recently I saw a lot of people with e-bikes - presumably one way of dealing with all the hills. But I suppose they must create even more maintenance problems! 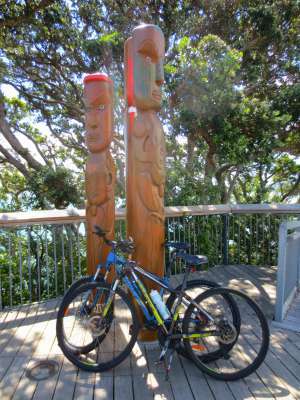 Hope you had a good time cycling around Hawkes Bay. E-bikes have really taken off in New Zealand. Hawkes Bay had them everywhere. My problem with e-bikes is I would be too tempted to turn on the throttle when I got to the slightest hill and so I don't think I would ever get any exercise. They are terrific fun to ride though and I can see the point for commuters and older people who otherwise might not cycle at all. Ebikes involve riding, my electrics died as I hit the only hill on the Otago trail. So I then got to push a 25kg bike up the hill. On the rail trails, the batteries we had only had enough to go the distance if you kept the power so low that the engine was no advantage. The last time we did the Otago Rail Trail was quite a few years ago, before e-bikes had become so popular. I don't think we passed anyone with an ebike but I guess it is different now. I take your point about how heavy they are if the battery dies. Part of the fun for me is the sense of achievement when we get to the end of the day and I don't think I would get that as much on an ebike. We would rent bikes if we could but David doesn't like tours and without a tour renting them for weeks on end doesn't work. I admire your persistence and courage. I will confess up front that I am not into cycling vacations, and your tribulations in New Zealand have given my a few more lame excuses to share with the many friends of ours who are! We hire a car as well and mix the cycling with general sightseeing so it isn't quite as tough as you might think. I sympathise with the reluctance to hire -- even if it comes as part of the price of a holiday, spending the first morning getting the saddle height just right, and finding that the gears don't respond as you're used to (usually when you've come round a corner and found yourself confronted by an unexpected ascent) can take the fun away. When I know I'm going to be away from civilisation on my own bike, I pack a single-cylinder foot-pump to deal with soft/flat tyres -- it will even fit in a pannier, unlike a fllor pump, which is much more a workshop sort of thing. We usually have have a car with us as well, so the floor pump stays in the boot. I'll get David to have a look at foot pumps though. Maybe that is the solution we need. Thanks, Steve. Haha - sorry about that. For what it is worth, we love cycling holidays even with all the hassle. Thanks Lyn, will keep it in mind, or consider buying and reselling wherever we decide to go. We find buying works well(ish) in the U.S because Walmart generally sells acceptable bikes for under USD200 each but you do take a bit of a risk. A couple of holidays ago we ended up with awful bikes which we bought in Canada. We don't try to resell the bikes but give them to friends, charity or anyone who wants them on the last day before we fly out. Sounds like this would be an incredible trip, despite the problems! I did an organised cycle tour in Thailand and loved it, would be keen to another. We have never done an organised cycle tour but I would love to give it a go one day. At least someone else would get to fix the flat tyre issues.